Madrid, Nov 24 (IANS) Atletico Madrid coach Diego Simeone has said that goalkeeper Jan Oblak is important for the team heading into this weekend's upcoming La Liga clash with defending champions Barcelona. Atletico are currently third in La Liga with 23 points, just one behind leader Barcelona. Speaking at his pre-match press conference on Friday evening, Simeone said the club management wants Oblak to remain with Atleti beyond his current contract which ends in 2021, reports Efe news. 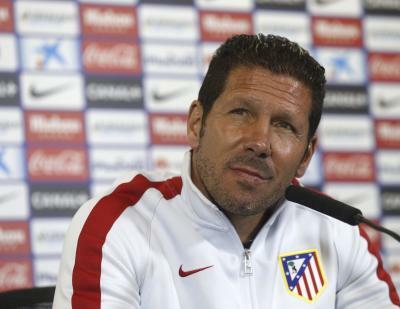 "I know that the club is working so that Jan can continue with us," Simeone said. "We have chatted with him during the week and he has very clear ideas about what he wants and needs." In regard to his own future with the team, Simeone said that while Atletico CEO Miguel Angel Gil Marin has broached the idea of renewing his contract, the two men have yet to discuss specific details. "I am happy. I have even more energy than the first day I arrived at the club," the Argentine said, though he emphasized in response to a subsequent question that his importance to Atletico depends entirely on results. Simeone was named best club coach in the world for 2015-2016.